Istoria Ministries Blog: Are SWBTS Bylaw Changes Motivated by Money? Are SWBTS Bylaw Changes Motivated by Money? Is it a mosque, a church, or a seminary? It is impossible to know why the trustees of Southwestern Baptist Theological Seminary issued a summary statement this past week stating they are "taking the steps to amend the bylaws" in order to allow the enrollment of Muslims, Mormons and other non-evangelicals into their seminary educational programs. Allegedly, the proposed bylaw change is necessary for Southwestern Seminary to educate prison inmates who do not profess faith in Jesus Christ, allowing these prisoners to enroll in Southwestern Baptist Theological Seminary's educational courses while in prison. However, the controversy at Southwestern Seminary erupted this year when President Paige Patterson admitted a practicing Sunni Muslim into its residency seminary degree programs. The problem was never 'prison ministry.' It was a Muslim on the campus mingling with our Security Three Zone missionaries. In addition, there are allegedly other cases where professing Mormons have been allowed to enroll in on-campus theological education at Southwestern Seminary, granted 'exceptions' to the bylaws by President Patterson. In this week's summary statement, SWBTS trustees only stated that the exceptions granted were a violation of the bylaws and charter of the Seminary. However, and this is a head scratcher, the trustees then stated they are going to begin the process of 'changing the bylaws.' When I pressed one of the trustees as to "Why are you changing the bylaws?" he responded, "For our prison ministry." It seems the United States government precludes any seminary from discriminating against any religion if that seminary enters its prison system to educate prisoners. Next spring the trustees will come out of their closed door meetings and try to reassure Southern Baptists that the proposed bylaw changes are intended to only allow them to continue doing prison ministry and the bylaw changes will not affect what is being done on campus. "Christ's religion needs no prop of any kind from any worldly source, and to the degree that it is thus supported is a millstone hanged about its neck." If Southwestern Baptist Theological Seminary trustees are allowed to change their bylaws to accommodate the federal government, it is in essence tying the proverbial millstone around its neck. Once they allow government intrusion into their religious educational mission, their allegiance is switched from Christ to Caesar. Why would Southern Baptists ever give up requiring a public confession of faith in Jesus Christ as Lord and Savior, as well as an affirmation of their Christian walk by a local church, before allowing that student access to the resources and educational opportunities of our seminaries? When Paige Patterson became President of Southwestern Baptist Theological Seminary in 2004, he set a goal of reaching 6,000 students. SWBTS's own website trumpets that Patterson 'has reversed the trending slump in enrollment" since he came on board, "creating a need for more buildings." Public relations and facts don't often correlate. For example, the Association of Theological Schools (ATS) in the United States and Canada, keeps records for every seminary in the United States. It's difficult for the average Southern Baptist to mine those facts from the reports submitted by our seminaries. However, using ATS own records, the following graphs will give you accurate information regarding Southwestern Baptist Theological Seminary (SWBTS), New Orleans Baptist Theological Seminary (NOBTS), Southeastern Theological Seminary (SEBTS), and Southern Theological Seminary (SBTS). For the sake of comparison, I'm using these four seminaries in the graphs and statistics below. It is obvious hurricane Katrina affected New Orleans numbers, but I'd like for you to focus on the graphs outlined in the orange color - Southwestern Theological Seminary in Fort Worth. All graphs reflect the past ten years. In the second graph, FTE stands for "Full Time Enrollment." What we have in very vivid graph form is an understanding that for the last ten years headcount, full-time enrollment, Masters of Divinity students, and graduates at Southwestern Theological Seminary in Fort Worth, Texas has been steadily declining. The following statistics put it in stark percentages. Is it possible that the reason Southwestern Seminary is willing to change its bylaws is because if the school could enroll people who do not profess faith in Jesus Christ into their theological educational programs they then have bigger pool of people from whom they can obtain tuition or 'scholarships' to enroll at SWBTS? I know some people will object by saying, "Of course not! It's about evangelism! Don't you believe that our seminaries should be in the prisons leading people to Christ by offering Muslims, Hindus, Buddhists, atheists, neo-Nazi's, and all other people of faith (or non-faith) by giving them the opportunity to enroll in theological educational courses provided by our seminaries!" Answer: "No." Let me make that "A resounding no." Our seminaries should be training Christian men and women how to go into the prisons and lead people to Christ. Ironically, the SBC founding fathers agree with me. That's why the trustees must change the bylaws and/or charter (allegedly, they are only changing the bylaws). They are wanting Southwestern Seminary to do what it was not originally designed to do. 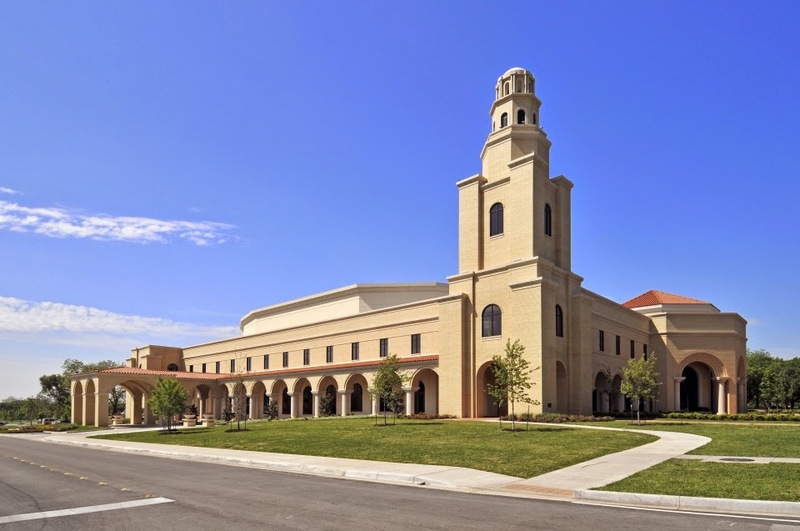 It's hard to know the rationale behind the bizarre effort to change the bylaws at Southwestern Baptist Theological Seminary to allow the enrollment of people from other faiths. I never dreamed I'd see the day when Southwestern Seminary would go down the path of classic liberalism. So enrollment is going down at SWBTS and going up at SEBTS and SBTS? It's as if potential students are choosing the other seminaries over SWBTS. Glad I left that place. I was close to leaving the church altogether because of the hypocrisy at swbts. witness to the goodness, glory and saving power of Jesus Christ. institution, and I commit myself to seek to know and obey Christ and His Word." THAT'S an Institution that I can hang my hat (and billfold) on! If SWBTS wants to reach the lost in prisons, bars, brothels, mosques, Buddhist/Hindu Temples, it should train up Southern Baptist missionaries to do the work. Like some churches, SWBTS may be of the opinion that if they compromise on their Christian principles so as to make themselves more compatible with the "world" they can increase in numbers. Perhaps; But I believe Jesus described this as "salt losing its savor" and it becomes worthless in terms of changing the world through Christ. Reading this, I was struck by how similar the Southwestern crew is acting like the old General Motors guys with the Chevy Nova. The Chevy Nova started off as a poor second to the smaller Fords in the days before the consumers discovered Japan. Rather than admit a mistake, the geniuses-NOT at GM decided to make the Nova in to a mini racecar without the speed, a mini Cadillac without decent comforts, and so on. As a result, the Nova went from occupying a decent though small nice to being a nameplate meaning nothing, and it disappeared. Chevy has never done well with small cars, and has probably lost money on them throughout its post-Vietnam history. SWBTS can't compete in the marketplace it was designed to meet, hemorrhaging Baptist prospects, and rather than admitting it needs serious change, tries a new market for which it has no precedent and no charter from its funding agency. This comedic tragedy might have passed back in the Good-Ole-Boy days of homemade liquor, the sinful Jim Crow society, and women not voting. Perhaps they'd really like a time machine? could it be a tuition matter? perhaps if the seminary has a good endowment (like the one that supports the life-style of the Pattersons), then maybe scholarships could be offered ? According to Sbcvoices blog, that Muslim student has packed his bags and gone home. His reasons are his own, as is his privacy unless HE cares to share his story. I wish him well: though I didn't know him, yet I was moved by his circumstances. We all have opportunity to change for better whilst we live, once we know that our path is leading us away from our goals. That chance for change might offer hope for those who are associated with SWBTS or who share a history with them. (1) What DO Southern Baptist seminaries exist for? (2) What SHOULD Southern Baptist seminaries exist for? The historical answer to (1) has been something like "To train those whom God has called into vocational ministry for the service to which he has called them." This answer automatically excludes both non-Christians and also Christians who are not called to vocational ministry. The historical answer to (2) has been the same as the answer to number (1). But this is now seen by some, for various reasons, as too narrow. Perhaps seminaries should also exist to provide theological education for Christians who are not called to vocational ministry but who nonetheless desire to serve God in a non-vocational way ("volunteer" ministry, etc. ), or who just desire to learn the Bible from the best available Bible teachers. Or perhaps seminaries should exist (at least in part) to evangelize unbelievers by providing them with biblical instruction. Or perhaps they should exist to educate anyone who simply desires an education in that which they teach. I'd also be interested in people's thoughts on whether or not there is actually a biblical basis for the idea of a special vocational call to full-time paid church work that is distinct from the general call of all believers to minister in the name of Jesus. If the answer to that is yes, it argues more for the historical basis for the existence of seminaries. If the answer is no, it provides good cause to re-examine the historical basis for their existence. My previous comment is similar to one I made on your last post on this topic. I also wanted to ask you what reasons do you have for favoring one approach to what seminaries should be doing over another? Are those reasons based primarily in history/tradition, or pragmatic concerns, or in biblical principle? As someone who attended a seminary and then worked there for over a decade, I've thought quite a bit about what seminaries do and should exist for, but even today I am really not sure. Your questions are good ones. In my opinion, seminaries are designed to equip people to do Kingdom work - whether we are equipping men and women to do Kingdom work is another topic - but I'm convinced seminaries are designed to strengthen gifted, confessional believers to do God's work. I'm struggling with the idea that seminaries should 'evangelize' the lost through their theological educational courses. I know that the bylaws and charter say what I'm saying. If admitting Muslims, Mormons, and people of other faiths into our seminaries is something seminaries are wanting to do, right now, I'm full against it. But I'm definitely open to hearing why we ought to do so, because I'm never a person who says we shouldn't do something because we've never done it. I just see no value turning our seminaries into another Princeton or Yale educational institution where everyone is welcome, regardless of one's confession. Let me start by saying thank you for the writing you are doing. This is necessary information for those who participate in the SBC & the Cooperative Program. If I'm right (and I could be wrong) but didn't Baylor University hire a Mormon as a professor? The real problem at Southwestern is corruption and it starts at the top. Just take time to visit with one of the maintenance workers at the school and you will hear horror story after horror story of the affluence afforded Patterson and his wife. It is nearly beyond belief but happens regularly. Honestly, I think the days of seminaries are about to come to an end. All of the big new churches have young pastors who barely preach Scripture and brag about being non-seminary men. Its only a matter of time. And by the way, I am a graduate of Southwestern so I am entitled to be critical of my own institution. 1. Every Baptist college seems to be getting their own seminary or graduate school of religion in Texas. Baylor, Hardin-Simmons, Wayland....even Louisiana College. 3. As a SWBTS alumni, I am not shocked. SWBTS has become somewhat a running joke among certain SBC circles here in Texas. I was supplied the statistics by a gentleman (graphs, charts, etc...) who did not provide stats for Golden Gate (I don't know why). My suspicion is Golden Gate would show the largest INCREASE in enrollment, MDIV Students, and head count of the big five. No intentional slight. I just don't have time to do the research myself. Allow me to inject a little clarification that takes nothing away from your observations. "FTE" means "Full Time EQUIVALENT." The FTE number is a way to cut through the deception of huge enrollment "head count" numbers and instead understand how that raw head count translates into full-time study. To my understanding, one arrives at FTE by dividing raw headcount of all students enrolled by the total number of credit hours they are taking. The higher the ratio between raw headcount and FTE, the higher the number of part-time students enrolled. Many presidents whose institutions show steadily declining FTE will trumpet raw headcount because raw headcount includes every single person enrolled in any credit-granting class. So, raw headcount would include the prisoner who takes a one-hour class taught off-campus as well as the formally admitted seminarian who is taking a full load of classes on campus. FTE averages those two sorts of enrollees and shows their full-time equivalent. It doesn't take long to notice that the resources of a seminary are greatly diluted when raw head count is bumped up through giving away course work or enrolling lots and lots of part-time students. Anyone who wants to understand what's really happening in enrollment should focus on FTE and not be sucked in by raw headcount headlines. Thank you for the clarification - I've corrected my typo with an edit. And, more importantly, Alaskan, your commentary above is spot-on. Money as motivation pales as secondary concern for me. Appears that Southern Baptist Seminaries will now admit whomever sitting presidents deem as worthy regardless of religious background, trustees, bylaws, confessions etc. Deal with it. The precedent is obviously set. What now distinguishes a Southern Baptist Seminary from any other public institution of higher learning as possible cover for those with radicalized religious views which stand in contrast to the objectives of the institution? It seems to me SWBTS has been on a rapid decline since Dr. Hemphill was forced out. Dr Patterson is a man of division, conflict, enormous ego, and pride. Students, staff, and faculty are the ones cleaning up the mess from his fights (see Muslim student issue, Tarrant Co Association fight, women professors fight, Darrell Gillyard fight, closing the licensed counseling department, closing of daycare, his encouragement of women to remain in the home of a physically abusive husband, etc.). It never ends with him. The BoT and others just owe too much to the SBC Boss Tweed and are afraid of him. The best quote which seems to best fit Patterson in this latest Muslim student dilemma is of President Nixon, "When the President does it, that means that it is not illegal." I have another suggestion: PAIGE PATTERSON’S COMMAND POST. Since most of the trustees were appointed by PP, I believe they are changing the bylaws because he told them to. It’s just like his appointed friends that changed the 1963 BFM into a paper god that all had to sign or be fired. I believe if egos had weight, it would take a tank to move him. Thanks for telling us about the Covenant that students sign at EBTS. The amazing thing with the stats during Paige Patterson's presidency is they are not even a fair comparison with previous years. The undergraduate college program was started during Patterson's time as well as the homemaking degrees. My understanding from a recent graduate is the homemaking degrees were a way to get enrollment up and get the students' wives on the roll. SWBTS is definitely a sinking ship and if the president was ANYBODY other than Paige Patterson, he would have been fired a long time again. What causes me to doubt Patterson and his drive for the CR is unlike Cincinnatus , Patterson did not humbly do his duty and go home. He stayed for the spoils and divided it up among his family and friends. His high living at "Pecan Manor" is embarrassing to me as a SWBTS alum. It is hard for me to take people serious who think Patterson is a man of honor and integrity. is it possible he doesn't even realize the seriousness of his actions? or how 'high-living' in the face of struggling young students must look? I like to look a numbers and was reading your graphs. I then looked at the year 1990-91. That was one of the last years Russell Dilday was President of SWBTS. This is the comparison that I saw with the latest numbers for Patterson’s Presidency. You can correct me if I misread the graphs. The first number is Patterson's the second is Dilday's. Every number decreased under Patterson. So much for record increases. When I was a student at SWBTS, students came from all over the SBC to attend SWBTS because of its conservative theological reputation. It looks like it now longer has that reputation.